I have always held that something extremely unusual happened at Roswell, something that was recognized as such by people in the know in July of 1947. I cannot believe for one minute that this was a balloon or cluster of balloons. A five-year-old may have wondered what the alleged balloons were used for, but would not have mistaken the materials, all off-the-shelf items of the day. 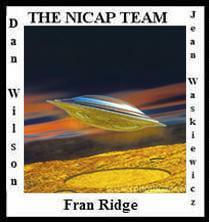 There is a lot more to the story than I can mention at present, but the NICAP site will provide the reader with all the material and links that are worth mentioning and possible to list at this time.